Blackpool had a huge turnover of temporary residents and it is not surprising that Blackpool residents have been among the victims of some of the most notorious crimes. Evelyn Judd married Mr Oatley a retired chicken farmer in 1936 and lived in Lyddesdale Avenue, Anchorsholme. They parted amicably and she went to London. Before the war she had a promising theatrical career but when the war limited opportunities she turned to prostitution. He husband visited her in 1942 and realised that her life had taken a new turn. London in 1942 was an astonishing and frightening place. The Blitz destroyed landmarks, rubble filled the streets, people crowded into air raid shelters. Because of the Blackout streets were pitch black at night. An unprecedented series of murders of escalating brutality took place.. The first victim, Evelyn Hamilton, was strangled in a bomb shelter on the 9 February. Evelyn Oatley was the second victim. This extremely bloody and brutal murder took place in Evelyn Oatley’s flat. The body was mutilated with a can opener. 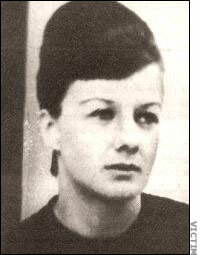 On 11 February Margaret Florence Lowe was murdered and mutilated with a knife and razor blade. On the 12 February Doris Jouannet was murdered and mutilated. The Blackout Ripper killed four women in five days. Sir Bernard Spilsbury was called in to evaluate the forensic evidence. A young woman called Greta Harwood was enjoying the company of a dashing air-force cadet in a pub near Picadilly Circus on 14 February. He was good company until he propositioned her. She left and he followed saying:”You must let me kiss you goodnight.” He put his hands round her throat. They were disturbed by an air raid warden and he ran off leaving his gas mask. The gas mask was traced to Gordon Frederick Cummins, aged 28. Gordon Cummins with wealthy parents and a good education had had been selected for pilot training. He denied the crime but a search found stolen material from the murdered women and his fingerprints matched those at Evelyn Oatley’s flat. Gordon Frederick Cummins was tried for the murder of Evelyn Oatley. He was found guilty and hanged at Wandsworth Prison in June 1942. He was executed during an air raid. His wife and father visited him each day before his execution. He insisted on his innocence. Later another body was found, Mrs Church, and the murder was attributed to Gordon Frederick Cummins. We have no idea why a person with no record of crime should suddenly murder five women. He made little effort to avoid detection. The crimes were disconcertingly brutal and he went from one murder to another without pause. He was said by his colleagues to be well built and good-looking. He boasted about his sexual conquests and claimed to have an aristocratic background. Margery Gardner was a resident of Blackpool in 1940 when she accompanied her husband, Peter Gardner, who was serving in the RAF. She was born in Sheffield and was a very attractive young lady. She was also gifted. Her Headteacher described her as “half-genius.” Her particular talent was for art and she studied art at Chelsea Art College. Like many students she was also attracted to the bohemian, heavy-drinking, eccentric lifestyle around Chelsea and rebelled against the restrictions of middle-class life, however she was attached to her family. Margery made unfortunate choices of partner.. Her husband, Peter, was a heavy drinker, unwell, and finally dishonest. He was imprisoned after a fraud committed while he was in hospital. The fraud was intended to finance his drinking binges when he escaped from the hospital in the afternoons. Peter served a prison sentence. They had a daughter but this did not bring them closer. Peter Gardner did not contribute to his daughter’s maintenance and took up with another partner. Up to this point Margery had been loyal and tried hard to make a home for herself and her husband. At some point she realised it was useless and returned to London. Her daughter was looked after in a nursery although Margery saw her regularly. Margery was not in good health. Anxiety over her husband and the fear of bombing and the lack of regular work and poverty all added to her troubles. She moved in bohemian circles in London and knew Quentin Crisp, the Naked Civil Servent. She worked occasionally a film extra. Her letters to her mother show that she was worried about her health and about money. She told her landlady that she had met a dashing airman called Jim. He was tall and had film star good looks and was charming. Not only that but he had invited Margery for a meal. Margery had a boyfriend called Peter Tilley Bailey. It is unclear how close their relationship was but Peter Tilley Bailey said that Margery was always faithful to him. Margery met Jim at the Trevor Arms at 8.30 on the 20 June 1946. She had not got enough money for a drink, she did not know where her next meal was coming from. Jim invited her to the Normandie Hotel for dinner. After dinner they went to stylish clubs and ended up in the Panama Club. In the Panama club Margery saw Peter Tilley Bailey with a young nurse. They greeted each other curtly. At 12.20 am they left and caught a taxi. Margery Gardner was drunk. They got out at the Pembridge Court Hotel. Margery had been writing a novel and it was autobiographical. The theme was the life of a single woman in London. The character “Julie” truly enjoys the novelty and excitement of living in London. Margery was killed during that night by Jim whose real name was Neville Heath. She had been beaten and whipped. In a previous incident which had not been reported to the police Neville Heath who used a number of aliases had been asked to leave a posh hotel specialising in officers and their families when, hearing cries from his room, staff had entered the room using duplicate keys to find a lady tied to the bedpost and Neville Heath whipping her. Neville Heath was outraged that staff had entered his room without being invited. When Margery Gardner’s body was found Neville Heath had left. They issued a description of Neville Heath. At this point Neville Heath was in serious trouble. The next thing he did was astonishing. He went to Bournemouth where he courted one young lady and when she rejected him and left Bournemouth he courted another young lady, Doreen Marshall. Doreen Marshall disappeared. She had been with a man called Group Captain Brook the evening before she disappeared.Group Captain Brook phoned the Police Station and made an appointment with DC Suter. Although Brook was not arrested at this point his hotel room was searched and a cloakroom ticked was found. When the cloakroom ticket was presented a case contained a distinctive diamond patterned whip with blood on it. Doreen Marshall’s body was found. An attempt had been made to hide it in. She had suffered dreadful sexual mutilations. 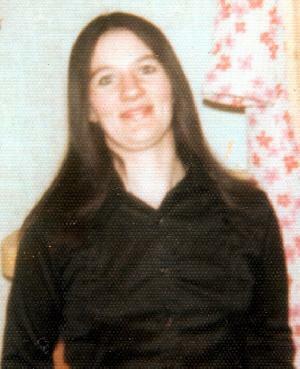 Doreen Marshall had been killed with extreme violence. It was a pointless killing and guaranteed Neville Heath’s capture. Neville Heath agreed that he must have been guilty of both murders but could not remember any of the circumstances. He made no effort to avoid the death penalty. He discouraged a defence based on insanity because he preferred to die than be locked up. 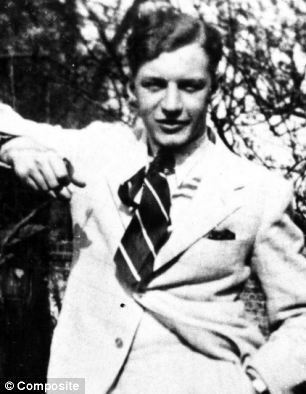 Neville Heath charmed all the men and women that he met, he had dozens of girlfriends. He was a fraud, con-man and a murderer and a war hero. Heath did drink on an epic scale, this may account for his blackouts. He was also upset by his divorce and separation from his son. His case has similarities with that of Frederick Gordon Cummins. Neville Heath had a precise grasp of the class system. His combination of charm, good looks and claiming exalted rank in the admired RAF helped him to escape the consequences of his acts. He also an expert at expressing repentance which made people feel that he was basically a good man who made mistakes. He was hanged on Wednesday 16 October 1946 at Pentonville by the irritating but efficient Albert Pierrepoint. He got on well with the staff at prison and his final words when he was offered a drink of whiskey before his execution capture the spirit of the man. Neville was always keen that his beloved younger brother Mick should join the RAF. Mick did his best but was traumatised by his experiences. He was stationed in Blackpool and during a visit to Tussaud’s waxworks he was shocked to find himself looking at a waxwork of his own brother. Former girlfriends spoke about how gentle and considerate he was and many men have recalled him with affection. He was a hero. When he was piloting a bomber which was on fire he put himself at risk of death by burning to help a fellow crew member who was having difficulty with his parachute. The two managed to escape seconds before the aircraft was destroyed. Helen Barthelemey was a victim of the “Jack the Stripper” murderer who has never been caught. In the 60’s she made a living as a striptease artiste in Blackpool. An Oldham visitor to Blackpool called Friend Taylor, aged 25, was lured to join her on the sandhills at Squires Gate where he was promptly robbed and beaten up by her accomplices. She was sentenced to four years imprisonment but when she was freed on appeal in February 1963, she remained in London where she worked as a prostitute. The “Jack the Stripper” murders were never solved. The victims were all small and slim. All the victims were found naked. All the victims had been strangled and had teeth missing. The victims were discovered in a small area near the Thames. There is disagreement about whether the total number of victims was six, seven or eight. The presence of spray paint on some of the bodies led investigators to suspect that the bodies had been kept in a garage. After his suicide the officer leading the enquiry implied that the prime suspect was a man called Mungo Ireland who committed suicide in 1965. The murders stopped. There is no evidence that Mungo Ireland was the killer. There is a parallel with the Jack the Ripper murders when investigators implied that the chief suspect was a man who committed suicide. Helen’s killer could still be alive. There was a link between two of the Stripper’s victims and the group around Doctor Stephen Ward. Doctor Stephen Ward helped provide girls for, amongst others, John Profumo the Minister of State for War and the Soviet Naval Attache Captain Yevgeny Ivanov. John Profumo denied this but later confessed and resigned. The Profumo Scandal which involved nineteen year old Christine Keeler rocked the British Establishment in the 1960s. No doubt retired colonels all over the country were spitting marmalade and toast over the breakfast table when it was learned that the Minister for War shared a girlfriend with a Soviet Naval attaché. Doctor Stephen Ward who had also had social relations with Princess Margaret and Lord Snowdon was tried for living off immoral earnings and committed suicide. This scandal contributed to the defeat of the Conservative Government and the election of Labour in 1964. The role of Stephen Ward has never been explained, many people believe that he was working for British Intelligence and that his trial was unjust and an act of revenge by the Establishment. His former friends were conspicuously unsupportive. Irene Richardson originally came from Glasgow. She lived in Blackpool from the mid sixties until 1976. She worked as a chambermaid in various hotels including Grosvenor House, living in Exchange Street, Grasmere Road and Central Drive. Her original name was Osborne and she married a barman called George Richardson. After the break-up of this relationship she moved to Leeds and took a job cleaning at the YMCA. She may have been bullied by a man who took her wages and she was desperately poor, sometimes sleeping in public toilets or on friends’ floors. On February 5 1977 she was murdered by Peter Sutcliffe, the Yorkshire Ripper, at Soldiers Field in Leeds. She had two children one was born at the Glenroyd Hospital, Blackpool, in 1969 and taken into care. Her son was adopted and has described the moving realisation that his mother was a victim of the Yorkshire Ripper. Prostitution was a factor in most if not all of these murders and we only sometimes get a fleeting glimpse of the world of of prostitution in Blackpool. There is something overwhelmingly sad about the victims. Poverty was a factor in their lives. A girl working in Blackpool was likely to propositioned regularly especially if she worked in hotels or cafes and prostitution was a temptation for spectacularly underpaid women. When Irene Osborne married George Richardson they must have believed that better times lay ahead. When Helen Barthelmey was released from jail on appeal life gave her a new opportunity. There was a time when Evelyn Oatley looked forward to a life in Anchorsholme. These women shared the Blackpool we live in. Their crime was being poor. Helen Barthelemey and Irene Richardson both had sons who were successful in life and have written movingly about their discoveries about their mothers’ lives.